What Can Content Marketers Learn from the Pokémon GO Craze? Just when you thought the Pokémon GO craze was drawing to an end, I’m here to slap you all around the face with it once more. And, to be fair, the app is still a massive hit – people all over the globe are still falling over themselves trying to catch all those little critters and be the very best, like no one else before them. Pokémon GO was the fastest mobile game of all time to reach 10 million downloads (it took just 7 days), and scratched up a not-too-shabby $440 million in revenues in under 2 months. Not bad, Niantic. Not bad at all. But, of course, Pokémon GO is a fad and it won’t be popular forever – in fact, as time goes on, we’re hearing less and less about it, even though it seemed the whole world literally had nothing better to do or talk about just a few short months ago. And here’s the point. Fads are short-lived things – they come out of nowhere, the entire population goes bonkers for them (indeed, even the steadfast, too-cool-for-school resistors make a vocal point of their resistance), and then they’re gone again in a blink of an eye. But the fact remains that this one tiny little app has been an exceptional triumph for Niantic (the game’s developers) – not to mention Nintendo (which owns a stake in The Pokémon Company). And it’s not even as if Pokémon GO is the best game in the world (that’s Broken Sword of course) – and so a lot of the app’s phenomenal success must have come down to the way it was promoted. 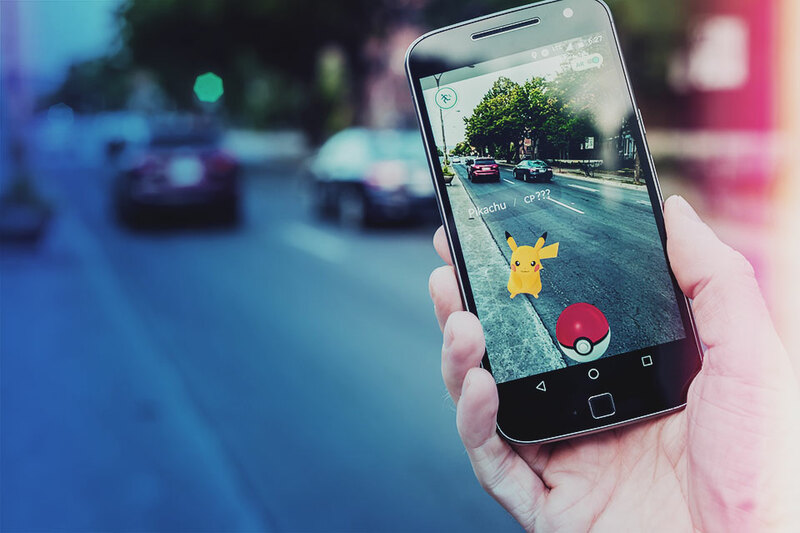 And so, looking back over the whole experience, it’s got me wondering – what can the Pokémon GO craze teach the rest of us about content marketing? Great marketing can rescue mediocre content in all its forms. The Da Vinci Code, Harry Potter, Avatar – in all seriousness, none of these texts are particularly brilliant (in my opinion), but that hasn’t stopped them from climbing to the highest realms of success. And the same is true for Pokémon GO. So – what did the marketing team get right? Pokémon GO was released smack bang in the middle of summer, right when the schools had broken up, the weather was hot, and children (one of the app’s target audience) had weeks and weeks of sunshine and idleness to look forward to. We mustn’t underestimate the power of timeliness. If Pokémon GO had hit the app store shelves at any other time of year – even Chrimbo – it’s very unlikely that it would have enjoyed the same success. I mean, just look outside. I know kids don’t feel the cold like grumpy ol’ sods such as myself – but, even so, it’s safe to assume that most children would rather be in their rooms tightening up their Warcraft defences than out chasing imaginary demons in the pouring rain. But, in the height of summer when the days were long and spirits naturally lifted, even parents found time (and enjoyment) chasing Pokémon after work. The whole point of the game is to get people outside – and so a winter launch would have fallen absolutely flat. As content marketers, we must always keep in mind the fact that the creation of content isn’t the end of the story. We need to think about our strategies for releasing our content into the wild. Indeed, waiting till now to publish this article is something that I’ve thought about. Naturally, in the height of the Pokémon GO craze, articles on the subject were ten-a-penny. But now the furore has died down somewhat, the competition is less rife, which gives this blog post a better chance of being discovered. But, elsewhere, we should always be analysing and trying to predict our target audience’s behaviour, and use our data to inform the timings of our launches. Indeed, a decent content strategy is nothing without an equally good launch strategy – it can make or break a piece of content’s success. Pokémon GO is a new app, but the Pokémon game itself has been around for 20 years. Indeed, much of Pokémon GO’s success was made from the sense of nostalgia that Generation Y felt upon download – we all remember those happy days trading Pokémon cards at school. As such, Pokémon GO had broad appeal to young and old(ish) alike – the good old game in a modern format. Brilliant. Undoubtedly, during your career as a content marketer, there will have been certain pieces of content that proved to be a lot more popular than others. Perhaps it was an eBook, a blog post, an infographic or a video that for some reason your audience seemed to love more than your other output. So indeed, what we can learn from the success of Pokémon GO is that an old idea can be revitalised, and win back as many members of an historic audience as it can gain brand new members. In fact, we covered this very topic only recently, and so I direct you to our post ‘Historical Optimisation: How to Breathe New Life into Underperforming Content’ for guidance on how to bring the past back to life. Pokémon GO, of course, capitalised on the latest smartphone augmented reality (AR) technology – and that no doubt contributed massively to its success. Indeed, releasing a new set of Pokémon Cards would most definitely not have had the same impact as the app did. AR is exciting. It’s something new, fun, and innovative. An old game Pokémon may be, but, dressed in new clothes, it feels novel, fresh and exciting. Well, I don’t think we can start producing AR blog posts just yet – but perhaps blog posts themselves are becoming like those Pokémon cards. It’s very easy for us to just keep churning out the same old thing week in week out. Sure, the actual written text might be different, and topics we cover always new – but the fact remains that if we keep dressing our content in the same old rags, then eventually our audience is going to get bored. So let’s take a leaf from the Pokémon GO book. Instead of writing a blog post next week, why not craft a brand new infographic instead? And the week after make a video. The week after that do a SlideShare. Need an updated content strategy that will give your brand the lift it needs? Get in touch with us here at My Social Agency – we’ve got the solution for you.